We're in the holiday spirit & we're offering a huge special! We are offering a SIGNIFICANT special booking discount for couples booking a 2017 wedding with both photography + videography services. We are also offering discounts to just photo or video services separately. When you book 8 or more hours of photography BY DECEMBER 31st, you are being offered the equivalent videography package at 50%, yes HALF OFF! This is a huge offer! 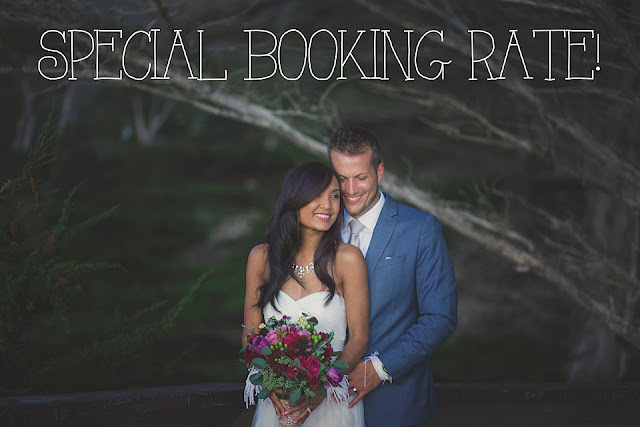 We are only accepting a handful of weddings next year, so once these spots are taken, they're gone! View our average rates here & contact us here!